Itonis is pleased to announce it received word from its Media Agency that the planned Ten Thousand (10,000) thirty (30) second commercial spots for its Emesyl® Nausea Relief product has begun. 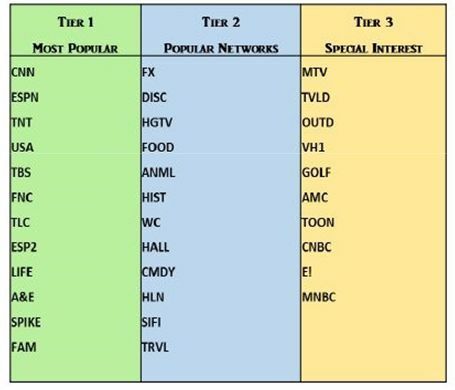 The ad is being run in about 240 small cable television systems in over 40 states, and cumulatively makes up a network of approximately 1.0M homes. These runs are at various times day and night, and across all the networks on the platform. "We've had several shareholder inquiries as to the status of our planned commercials. I can assure you we have been actively engaged with our Media Company pursuing this information on a daily basis. The response to our inquiries and the gathering of this information took a little longer than we expected; however, we're pleased that the ad campaign is finally underway," said Steve Pidliskey, Itonis Vice President. Located in Laguna Hills, California, and founded in 2005, Itonis Inc. has focused on the distribution of innovative products to the medical and pharmaceutical industries. The company also holds a licensing agreement with MyECheck Inc, which allows the company to use MyECheck's patented mobile payment application and share transaction revenue fees for point of purchase payments across various industries. Please visit www.itonisholdings.com for additional information. 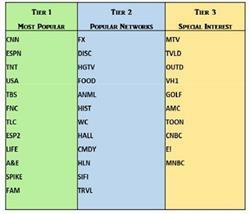 The platform consists of 3 tiers on the following popular cable TV networks. 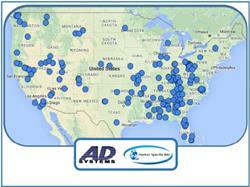 The following map shows where the ads are being aired within the states.